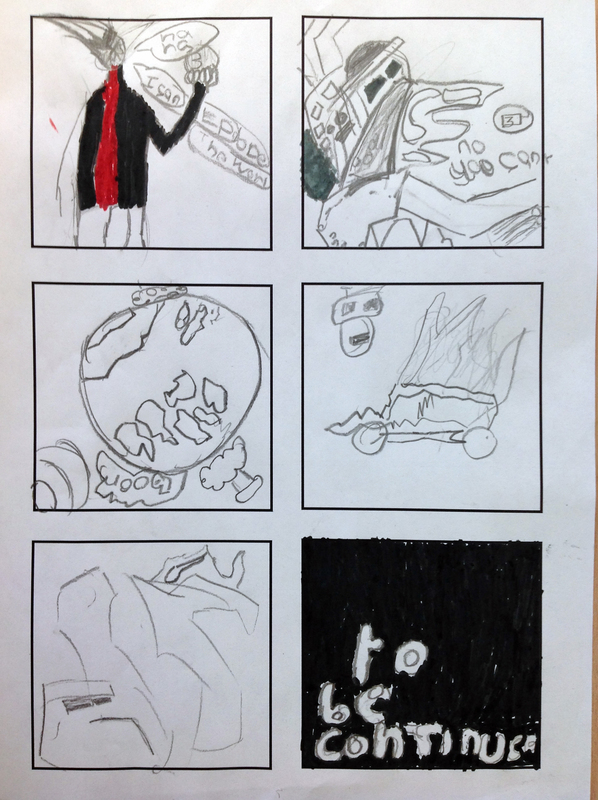 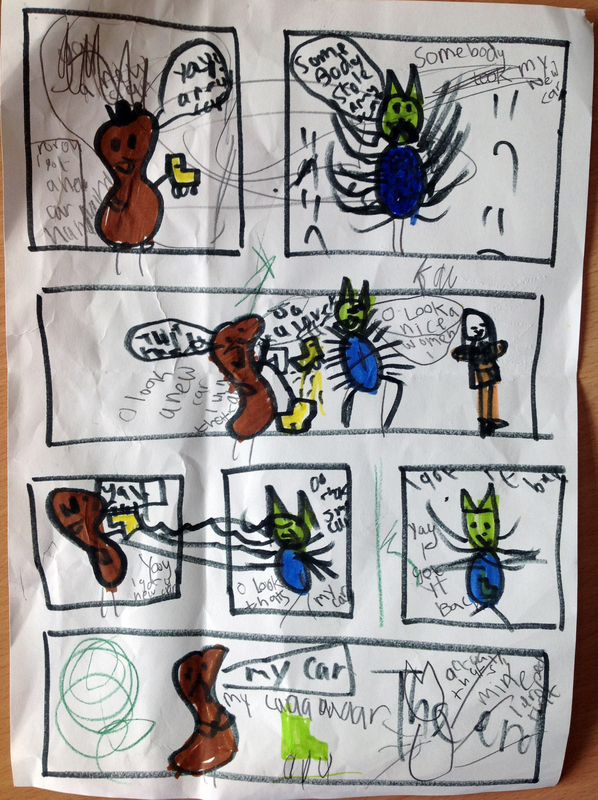 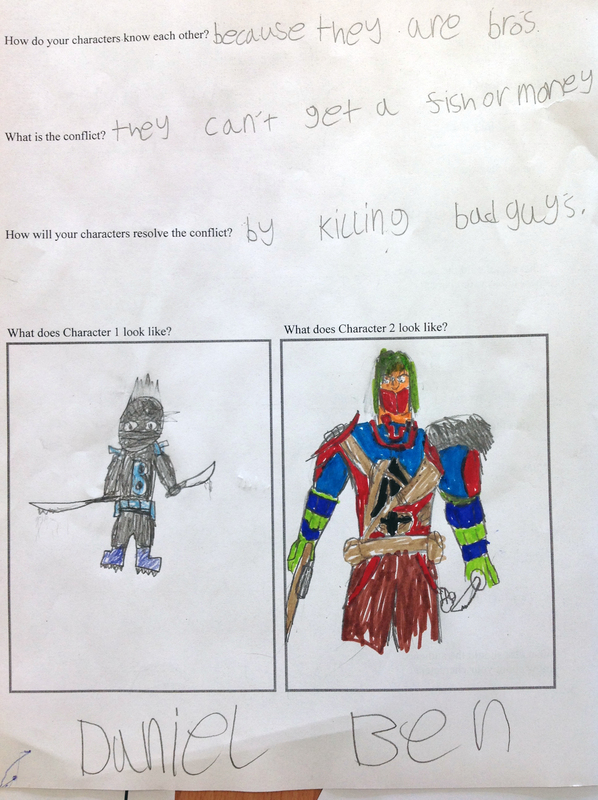 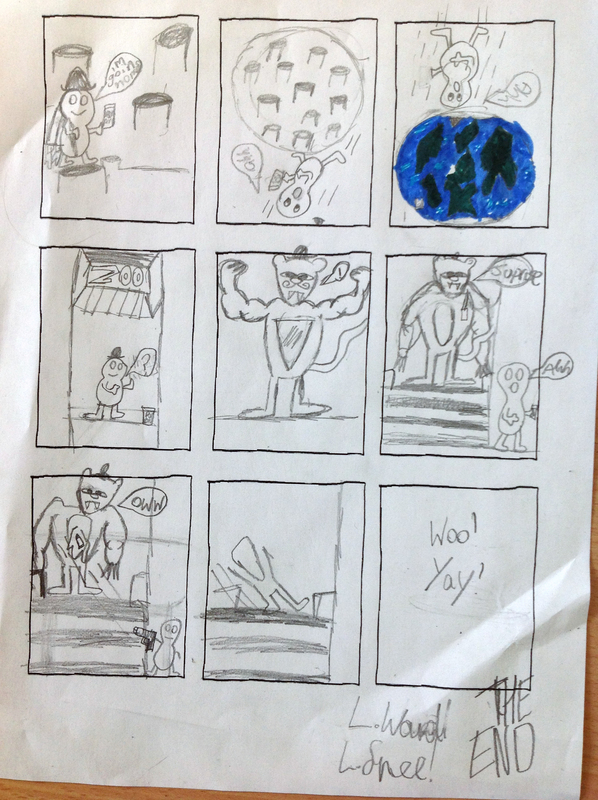 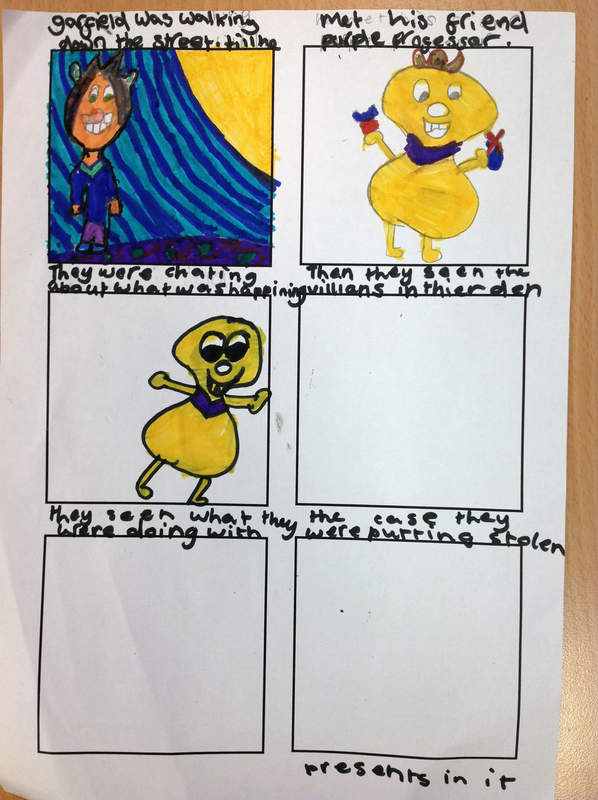 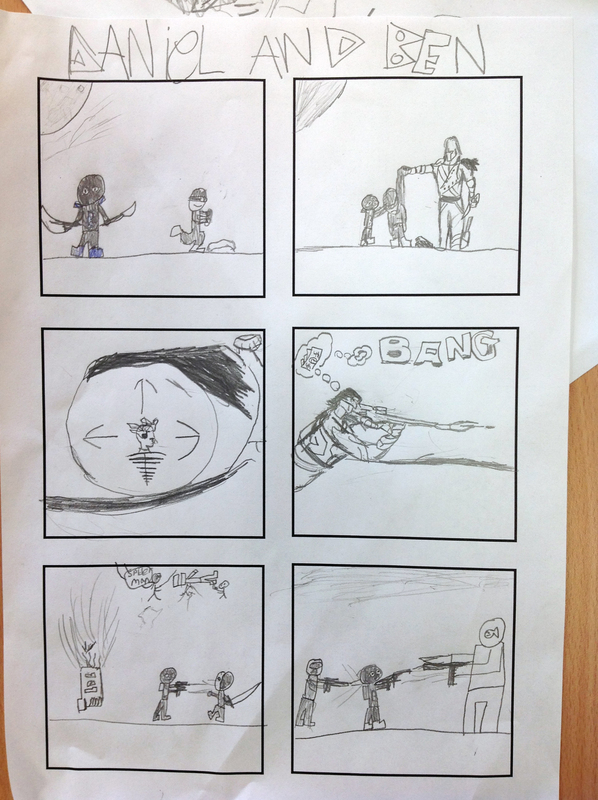 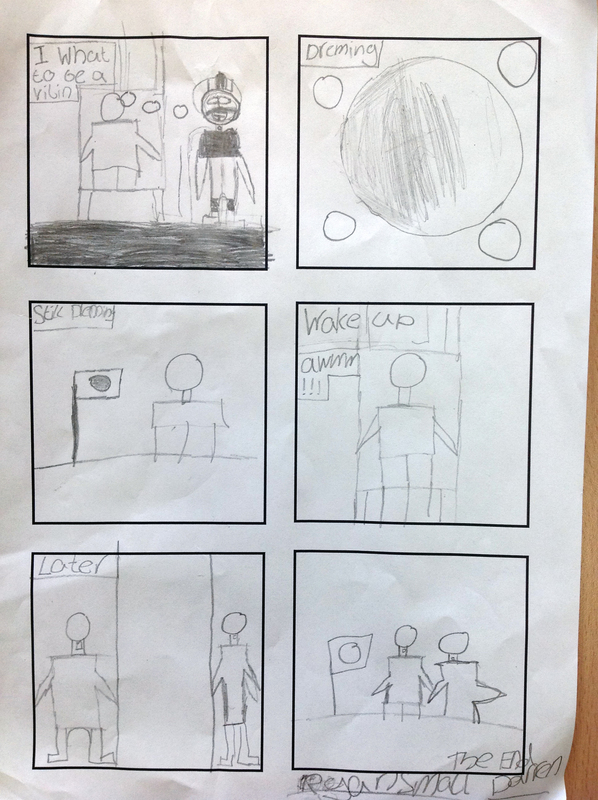 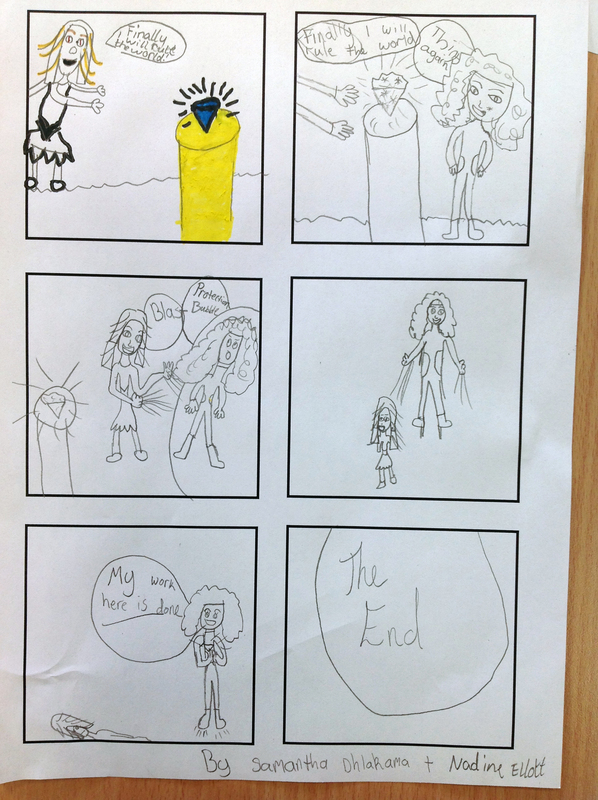 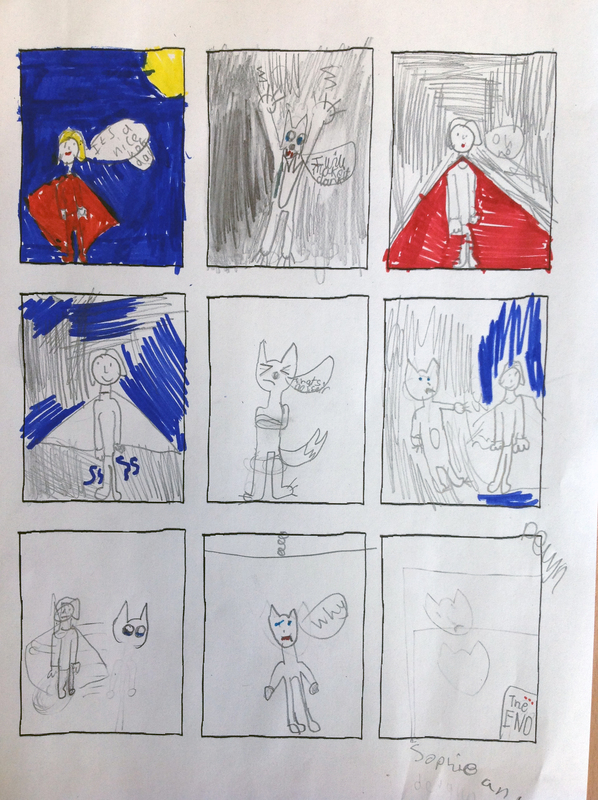 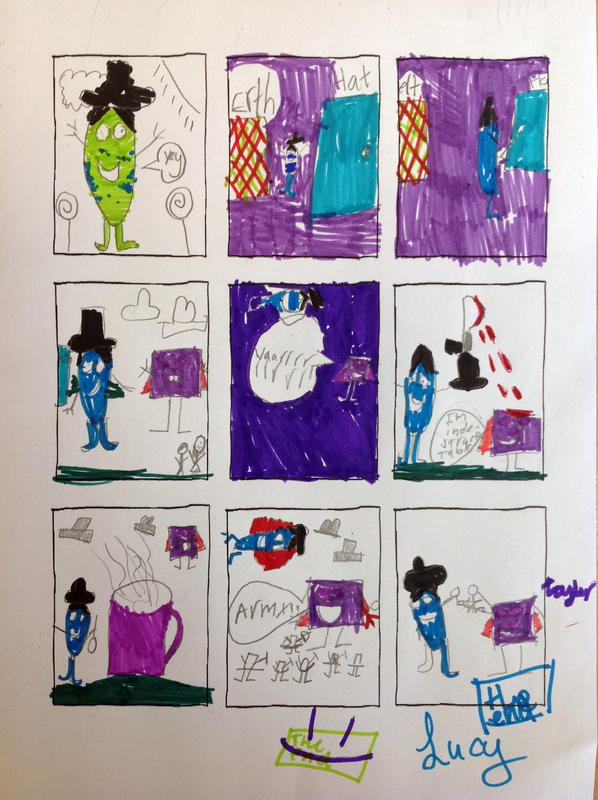 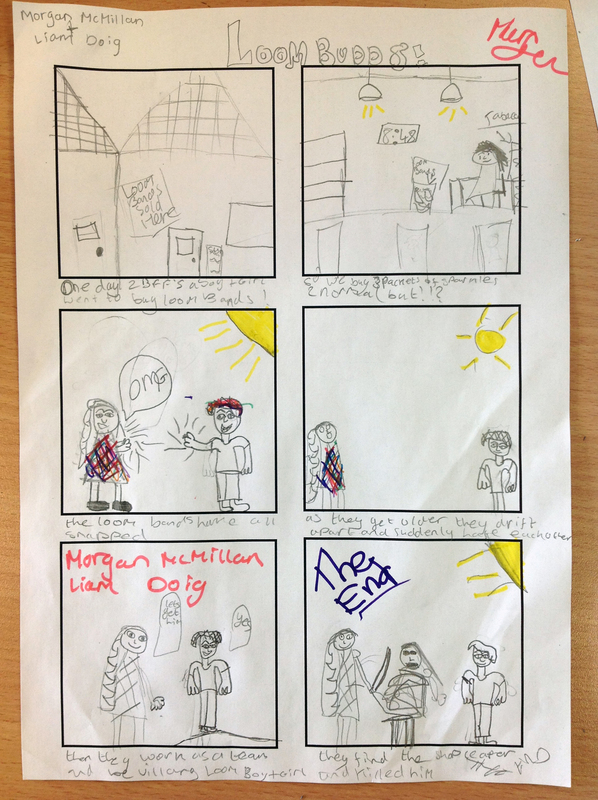 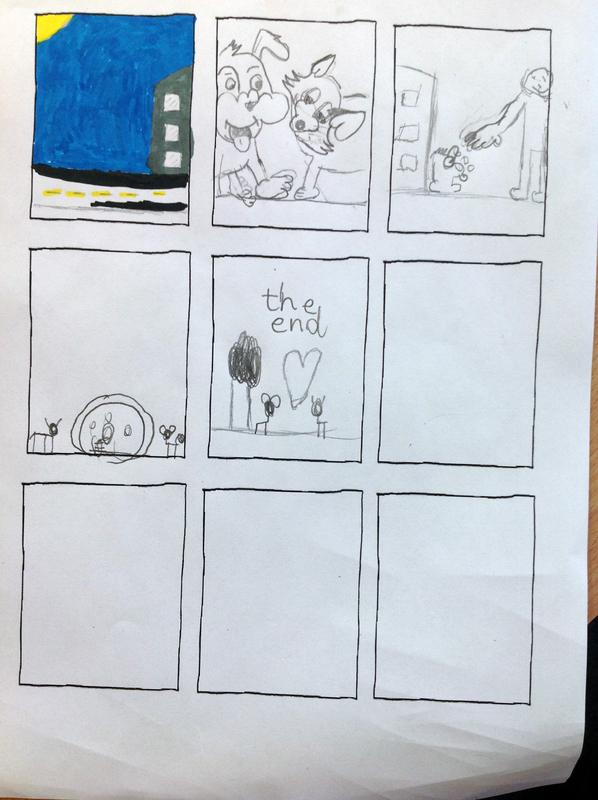 Last June Erin Keepers, Damon Herd and Letty Wilson went out to do a comics-making workshop with the pupils of St Clements Primary. 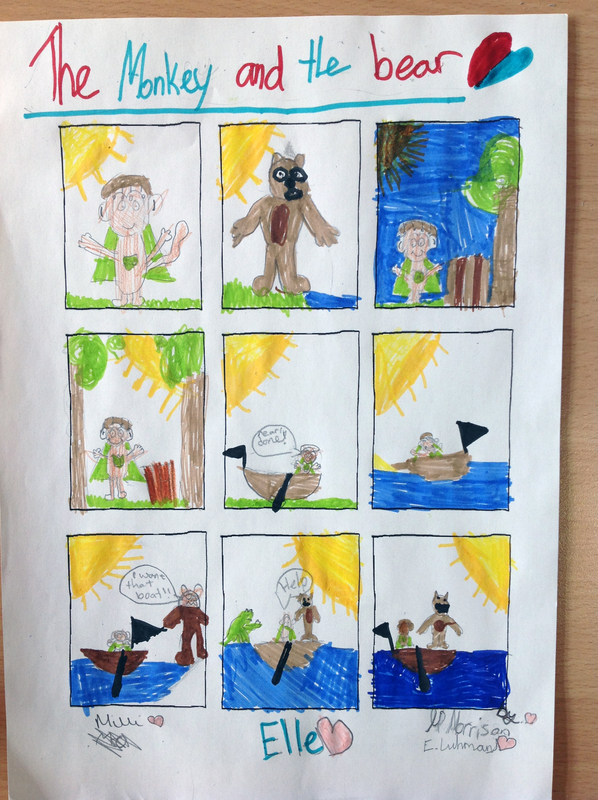 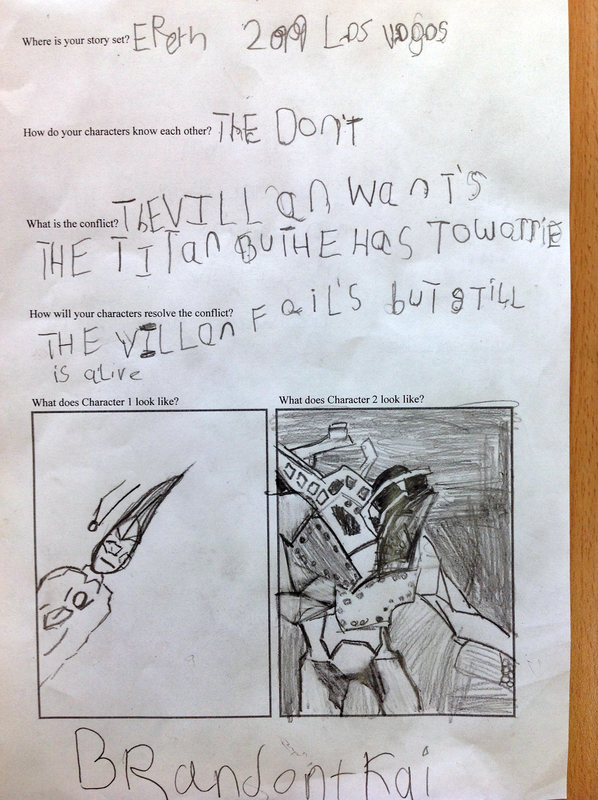 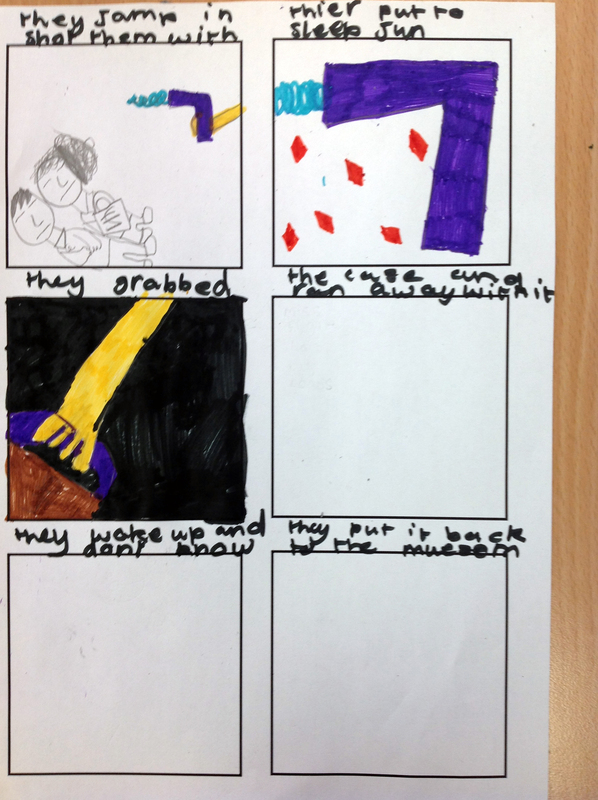 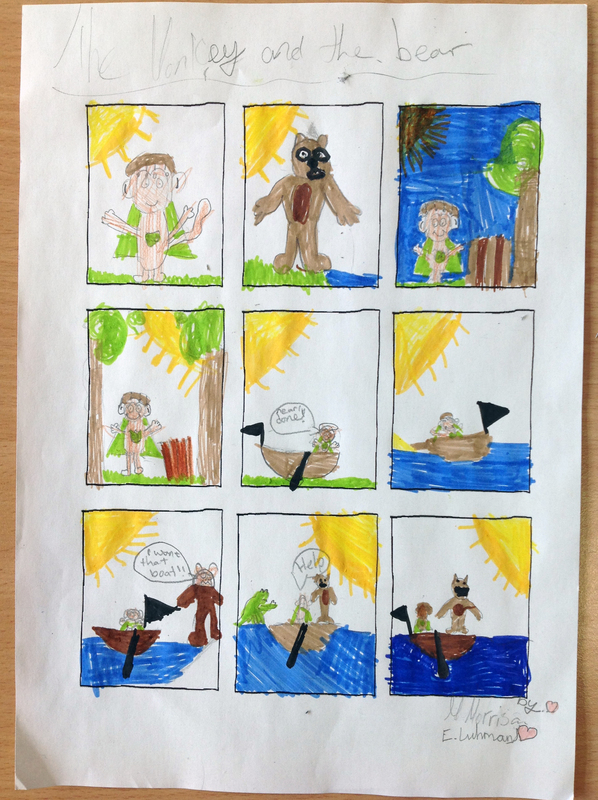 The children produced some fantastic work, and we’re pleased to be able to share it here! 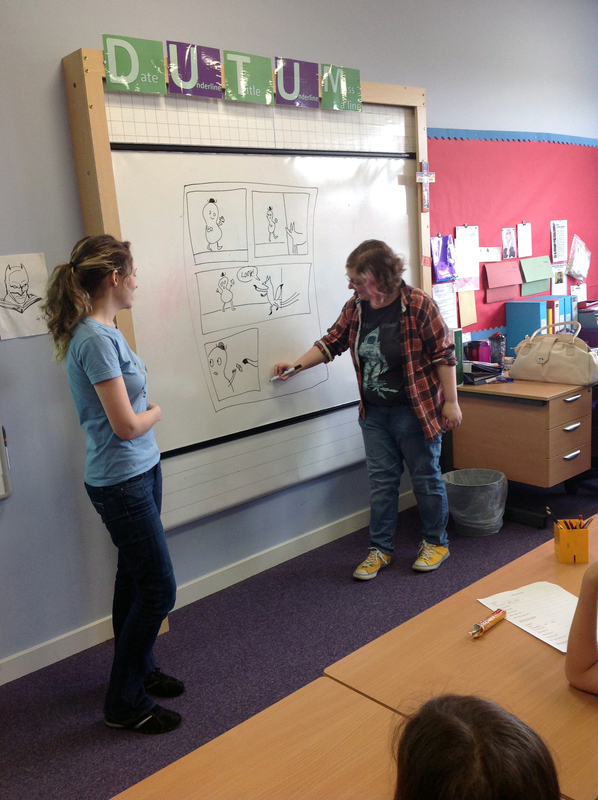 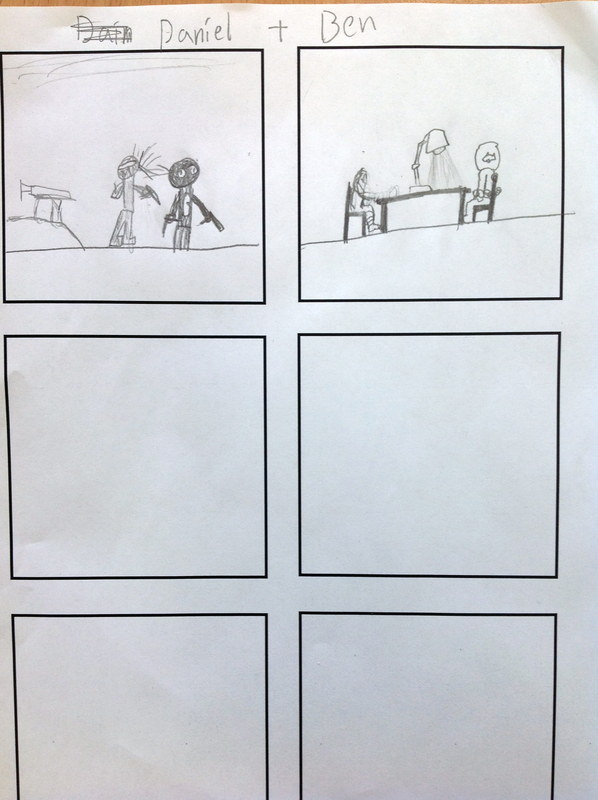 Letty and Erin getting the ball rolling with an improvised comic.